I love cooking with whole wheat flour, but it can be hard to find recipes that adapt well to whole wheat flour. Well, good news! 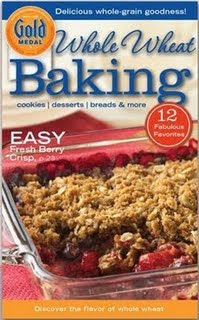 Click here to view a whole recipe book from Gold Medal featuring recipes using whole wheat flour. I began to print some of these and then looked at the nutritional value. The whole wheat flour may make you think you're being healthy but watch the fat and calories on most of these recipes. Yikes!